It seems you can’t talk about the early days of coffee without talking about Ward Barbee and his notorious antics. We collected thoughts and stories from some of Fresh Cup’s longtime friends. One day out of the blue I got a call from someone I had never met: Ward Barbee. He had just published his first issue of Fresh Cup and asked to meet the following week, propositioning me to write and photograph for his new publication exclusively. I agreed and the rest is history. I met him in the small basement of Jan’s home where he was producing his new magazine. This began a long and wonderful friendship. Stories of adventures with Ward took place over many years; most, if not all, are quite unpublishable! It seems like yesterday when Ward came to me about his idea of a monthly coffee magazine. My wife and I thought it was a great and much-needed idea and told him we’d back him. After a couple bottles of wine and a lot of coffee, we came up with the name Fresh Cup and registered it nationally. What a ride! Ward Barbee started this crazy magazine the same month we started Caffeine Machines in northwest Portland, about four blocks apart. Ward would pop in and compare notes and always had fascinating news. Who would have thought that it was the beginning of a whole industry? Ward Barbee, legendary “Coffee Carny” (and I say that with the greatest respect), knew how to put on a show, hosting barista competitions at NASCORE, when no one called themselves a barista. Ward would peddle Fresh Cup using a small wheelie and place magazines on exhibitor’s stands, sometimes without their knowledge. All of this was pre-SCAA barista competitions; Ward shared the vision of coffee as performance coupled with brewing skills and taste. 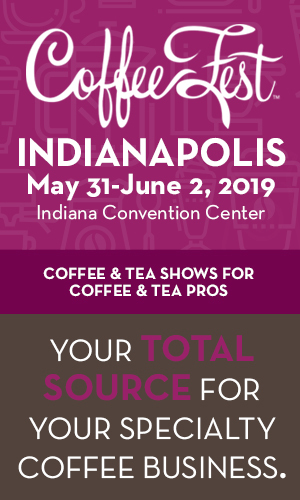 Over the last twenty-five years, our partnership with Fresh Cup has not only given us a means to stay connected to our growing customer base, but also to the global specialty coffee and tea community. 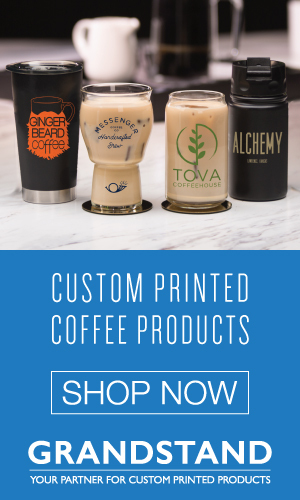 In an ever-evolving industry, Fresh Cup has remained a constant source of valuable information to stay well-informed on new trends that greatly influence our business decisions and those of our customers. In a relationship-based industry, we are proud to have been a partner from the beginning. Jon and Phil both shared the story of meeting Ward at the 1992 Fancy Food Show. Jon: I cannot believe it has been twenty-five years since a very opinionated, obnoxious visionary came into my life. It was the summer of 1992 at the Fancy Food Show in New York City. We were setting up, when up walked a skinny man with gray hair and a beard. He was sporting a Hawaiian shirt, cargo shorts, and topsiders. 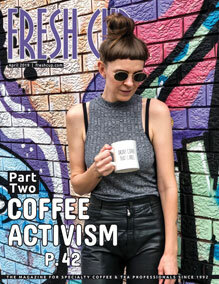 I thought to myself, “Who is this fashion disaster?” He introduced himself as Ward Barbee, publisher of Fresh Cup Magazine, a new publication for the coffee industry. Phil: After setting up for the show, Steve Neighbors, Fred Neighbors, Jon Whiteside, and I were having a drink in a New York City bar called Barrymore’s. Suddenly this guy appears with a large stogie and strikes up a conversation. He asked us what we were doing there from Oklahoma, and we told him we were there for a trade show, that we sold gourmet coffee. What a coincidence Ward said, I’ve just started a coffee magazine called Fresh Cup out of Portland. After several cocktails, we invited him to go to dinner with us and the rest is history. 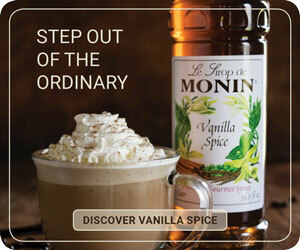 In many ways, the coffee industry has transformed dramatically over the last twenty-five years. In many other ways, things haven’t really changed. We spoke with some industry veterans to get their take. José: One challenge in retail is the competition from large multi-national coffee roasters and well-known consumer brands that have deeper pockets to secure distribution. We were one of the first roasters to introduce whole bean coffee into supermarkets in Los Angeles. Leonor: Evolving with the times and staying ahead of the trends is important. We started with espresso at a time when few in our market knew what it was. Then, we introduced brewed coffee. After the frost in Brazil in the 1970s, we developed a line of specialty coffees to be sold to gourmet shops who sold coffee by the pound. We were one of the first on the West Coast to use a one-way valve on our bags, vacuum pack, and flush with nitrogen. We continue to bring innovation to our brands, and we study all trends in the market. Some are a better fit with our values and traditions than others. There’s more of a focus on what’s in our food, how are people treated, what the conditions are like for the lives of the coffee producers. It used to be we’d have to push information to a customer and try to get them interested. Now, every new business request we’re seeing is asking at least one thing about the sustainability aspect of a coffee, whether it be about where the coffee comes from, how far back it can be traced, or our support of local and community efforts as a company or within our supply chains. I see that coming not just from the specialty sector, but from across the coffee industry. 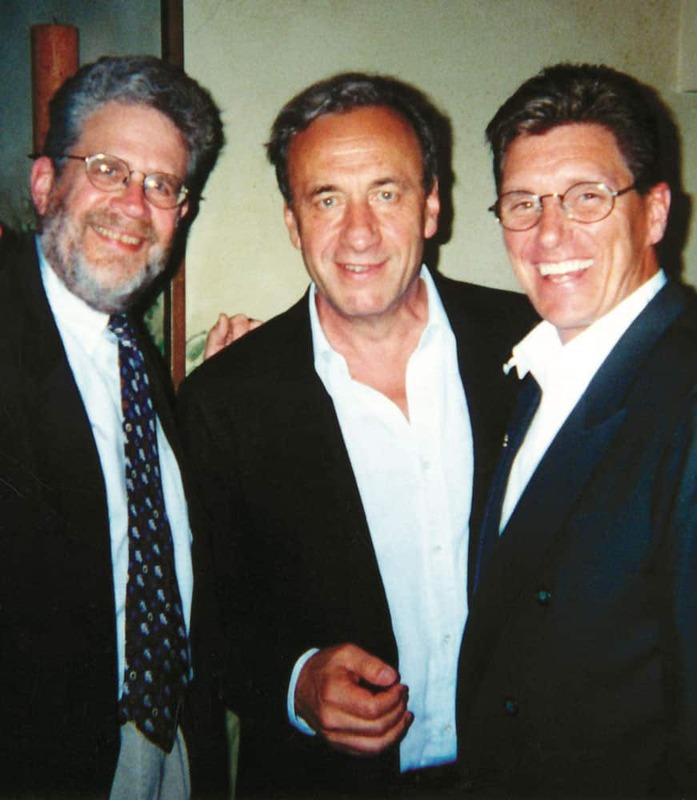 In the mid-eighties, we started a small business selling Italian coffee to restaurants and hotels in New York City. In the early days, most of our sales calls consisted of explaining how Italians liked to drink their coffee, often spelling out the words “espresso” and “cappuccino,” and then giving a technical description of the espresso extraction process so they understood that we knew what we were talking about. The couple left the train at the next stop, and it changed how I saw our work and my internal dialogue. We were pioneers! I represent the last generation of coffee’s second wave. I didn’t know it at the time, but it’s clear to me now that I witnessed the incremental change of coffee from second to third wave from the inside. I entered the business at the peak of the second wave, in Chicago in 1994. I was lucky to connect with an entrepreneur named Elaine Apollo, who had a distribution company that sold Illy coffee. By the mid- to late-nineties, Elaine had established an impressive portfolio for Illy. She had been part of the group that introduced Italian espresso to the upscale restaurant business. It was an exciting, interesting time to be in coffee. What I failed to understand is that he was doing something more than copying a thing from Italy. As we can see now, he and other pioneers were inventing an American coffee form. They created something different from what had come from Europe. I suppose it might be an embarrassing story—the second-wave sales guy not seeing the cool thing coming towards him until it’s run him over—but I don’t think I’d have it any other way. I’m thankful for the experience I had, and for the perspective that change brings to my work now.